Kimi Raikkonen expects Ferrari to be even more competitive in Malaysia than it was at the Australian Grand Prix. Ferrari was clearly the best of the rest behind Mercedes on race pace in Melbourne, though Williams driver Felipe Massa pipped Sebastian Vettel and Raikkonen to third in qualifying. Ferrari had the edge on Williams during the grand prix, highlighting the huge progress made over the winter, and Raikkonen expects to see another improvement at Malaysia's permanent race facility. "Obviously I hope it's better than Melbourne!" said Raikkonen, who was forced to retire from the opener after Ferrari failed to properly attach his left rear tyre at his final pit stop. "We have the speed and things are running smoothly. We just need to avoid mistakes and we had some bad luck at the start. The car has been good at every circuit we've been at so far so I don't see why it shouldn't be good here. I think it could be even better than it was at the last race; it's a proper circuit and should fit well here." Raikkonen struggled immensely in 2014 with the uncompetitive F14-T but he is relishing the prospect of the new campaign. "Obviously we are in a much better position than, say, the end of last year so in that way it's a nice place to be. We still have to improve quite a bit if we want to be at the front and we still don't have the speed exactly, at least in qualifying, to be there. In the race I think we are a bit stronger. "It will be a fun year, obviously not an ideal start as we got some damage at the start and then I had some issues at the pit stops but that can happen sometimes. At least we have pretty good speed and I'm sure we're going to have good races and some battles. Like I said we still have some work to do to be where we want to be but we've done a good job so far. "I think it's the whole package, not just the engine, we've improved. Yes we improved [the engine] a lot but we improved the chassis itself. It's the whole package; you cannot just point at one area. Everybody is working as one team and everything is going in the right direction and people are pushing and doing good work. But it's still early days and we know we still need to work hard but from where we started so far we have done a good job." 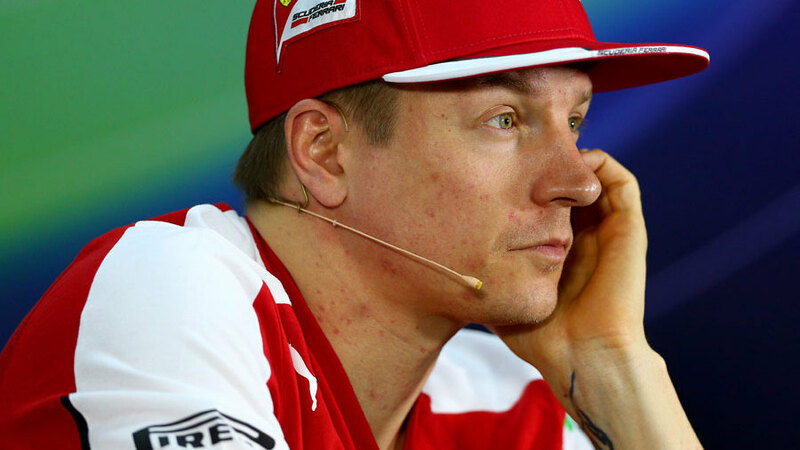 After the Thursday press conference, Ferrari used its official Twitter account to make a tongue-in-cheek reference to Raikkonen's famously icy demeanour.